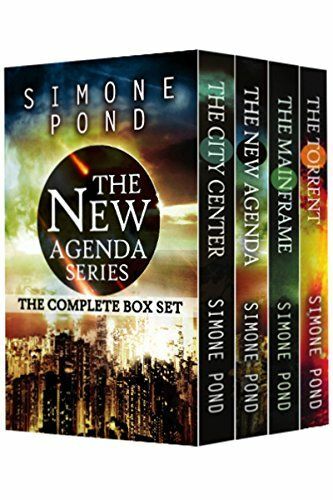 This thrilling Young Adult Sci-Fi series, which includes four action-packed books, follows Ava Rhodes as she fights against Chief Morray to save her people from his maniacal new agenda to control all human life. Travel through centuries of intertwining stories that all lead up to the final battle for true freedom. Perfect for fans of Ready Player One, the Divergent series and Maze Runner series. 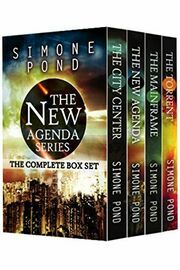 "It is difficult to believe that The City Center is Simone Pond's first novel for she writes like a seasoned author. The City Center reminds me of Donor 23, The Hunger Games, Logan's Run and Brave New World, which are all dystopian tales. The characters are well developed. Morray was so well developed that he gave me the creeps just reading about his despicable crimes." Visit simonepond.com to join the mailing list for exclusive news and giveaways.